DSR Tax Claims are proud to announce that Jack Meakin and Caylee Thomas are the first recipients of the company car scheme, which rewards excellent performance with the chance to receive a brand-new Mercedes C Class AMG Electric Hybrid car. The two members of the Compliance team were the first to qualify under the scheme and received their cars last week. DSR Tax Claims director, David Redfern, spoke of his pride in his staff and their career growth during their time at the firm. The company car scheme allows staff to work towards receiving a top-class Mercedes Hybrid car by meeting performance targets. 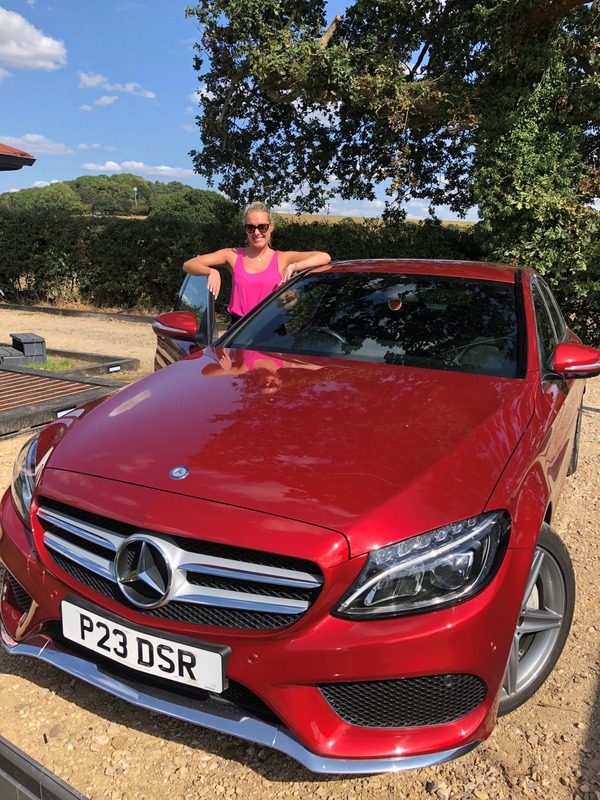 Caylee Thomas, Compliance Officer, stated on receiving her car, “I’m overwhelmed at receiving my Mercedes and I am really proud to be driving it and showing the world how proud I am to be working for DSR Tax Claims. Working for the company has exceeded all my expectations and I always feel supported in my efforts for the company”. She added that “I want to say thank you to DSR Tax Claims and to David for believing in us and giving us the chance to achieve”. Head of Compliance, Jack Meakin, stated “I am super happy to have received my new Mercedes and I am really proud to be playing a part in the success of DSR Tax Claims. I feel grateful to have been given this amazing opportunity and it just goes to show that hard work really does pay”. David Redfern added that “All of us at DSR Tax Claims are proud of Jack and Caylee for exceeding their targets and being the first to receive their company cars, and for the hard work and determination they have shown in meeting the demands of our clients. At DSR Tax Claims, we aim to reward hard work and encourage career growth because it benefits our employees and our company”. He stated that the company strive to attract the best candidates for available job positions, adding that the company reward those people with an attractive package of benefits.